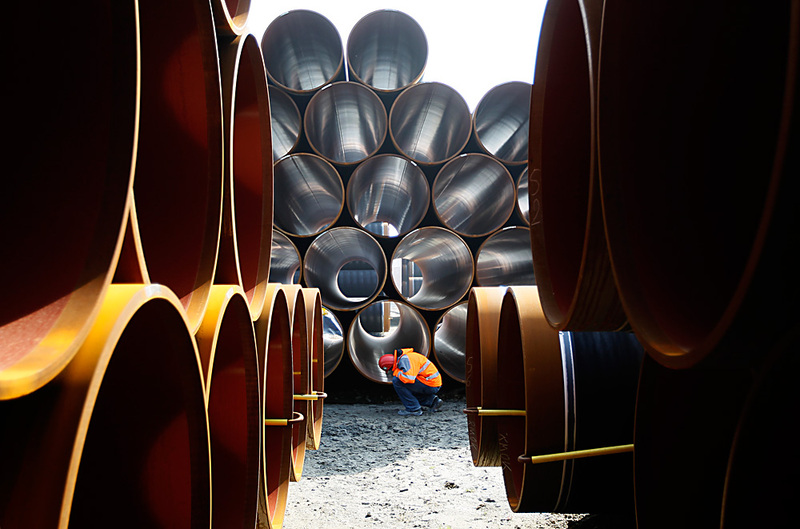 The Turkish Stream pipeline was announced by the Russian authorities in December 2014 as a replacement for the South Stream pipeline. Moscow and Ankara may sign an agreement on the Turkish Stream project in Istanbul, where on Oct. 10-12 will take place a meeting of the Russian-Turkish intergovernmental commission on trade and economic cooperation, Russia’s Minister of Energy Alexander Novak said in an interview with the Hurriyet newspaper, published on Oct. 9. "A draft of the intergovernmental agreement is ready," he said. "On the outstanding issues Russia is having active contacts with the Turkish side. There is a chance, the agreement will ge signed." The Turkish Stream pipeline was announced by the Russian authorities in December 2014 as a replacement for the South Stream pipeline. It was planned that the marine section of Turkish Stream would comprise four lines with the capacity of 15.75 bln cubic meters each. The pipeline is to run 660 km in the old South Stream corridor and 250 km in the new corridor in the direction of the European part of Turkey. The project’s total cost was estimated at 11.4 bln euro, with the cost of the first line amounting to 4.3 bln euro.